Hey everyone! It has been busy on the blog this week with a huge giveaway and some book reviews if you are looking for a good book to read or one for your child. We had an awesome homeschool week last week. Thanks for joining us in our adventures! Happy Birthday Dr. Martin Luther King Jr. by: Latisha J. Greaves-Barker - This is a free coloring book story that is perfect for children ages 4-9 years old about explaining who Dr. Martin Luther King, Jr. was and what he stood for. If you would like to follow along with what curriculum and resources we are using, please click here. Monday - We read "Alexander and the Terrible, Horrible, No Good, Very Bad Day;" "Happy Birthday Dr, Martin Luther King, Jr.," and "Harry and the Lady Next Door." Tuesday - Today, we read "No Roses for Harry!," "Harry by the Sea," "Max's Words," "Let There Be Light," and the boys watched a LeapFrog "Talking Words Factory" video on Netflix. Wednesday - We had a Library Day today and the librarian read "Strega Nona," and "Bill and Pete." We also got to watch a video of "Charlie Needs a New Cloak." We borrowed "Pierre" and "Chicken Soup with Rice,' so we read those books when we got home. Thursday - The boys watched "The Brave and Beautiful Queen" on the free Bible for Kids app and learned about Queen Esther. Friday - We read "Bible Favorites" and "The Peekapak Pals and the Value of Friendship." B also did Reading Lesson 64 out of "100 Easy Lessons" and learned how to read bring, brother, getting, sent, her, love, find, give, gave, up, boy, tail and they. Monday - The boys colored some of the pictures in the "Happy Birthday Dr. Martin Luther King, Jr." coloring storybook, and also a sheet from The Mailbox on "Alexander and the Terrible, Horrible, No Good, Very Bad Day." The boys also played outside on the playground. Tuesday - B worked on a "Harry the Dirty Dog" worksheet from The Mailbox Read-Aloud Roundup. This book is amazing and has ideas, activities, and worksheets for 50 stories at Kindergarten to 1st grade level! Wednesday - The boys did "Two Monkeys" finger play at the library, and then we came home and played outside. We borrowed the video The Old Lady Who Swallowed a Fly and watched it also. Thursday - Boys went outside and played with their friends. Friday - If you have ever wondered what a Peekapak is and what is included, check out my review here. The birdhouse came assembled already and the boys put stickers and letter stickers (all included in the pack!) on the birdhouse, photo frame, and the blank wooden dice that became their own personal stamper! I highly recommend this if you are looking for something fun to do with your child! Monday - We used the same "Alexander" worksheet for the boys to cut and paste the events of the story in order. The boys also met two new friends today while playing outside. Tuesday - The boys played ABCmouse puzzles and games today and answered reading comprehension questions. Wednesday - After watching the video, the boys played with Excellerations There Was an Old Lady Felt Story Pieces from their Grandma, and they had to match the words with the different animals the lady swallowed. Thursday - The boys answered reading comprehension questions on Bible for Kids app. Friday - There was more reading comprehension during each of the stories read today. Monday - B wrote the word, donate. Friday - B wrote bat, rat, sat, cat, hat, pat, tad, er, and w.
Monday - Today, I taught the boys on how to save their money, donate and spending it. Our new church has a children's media offering and the boys wanted to know what they could do to donate so I think they are getting ready for chores! I taught them that the first 10% of our money goes back to church and that it is being a good steward of our money and having faith in God. I told them 20% goes into savings and the rest is theirs to spend. It may have been a bit over their heads but we dumped out their piggy bank and divided up their pennies, nickels, dimes, and quarters into separate piggy banks we received at a local credit union. They counted different ways how to make a dollar. Wednesday - The boys did "Five Little Monkeys Sitting in a Tree" finger play and counted from 5 to 0 backwards. This is a great finger play for teaching early subtraction. Friday - B worked on a free worksheet by Miss Kindergarten Love on at Word Families. He rolled the dice and then circled the outline of the shape of the word. Monday - The boys learned about Dr. Martin Luther King, Jr. today and how it's not nice to make fun of others. I reminded them that God created us all and that He loves us all and that we need to love all people also. They also found Australia on the map from reading "Alexander." Thursday - We all got to see how they laid the sod down for our lawn from a house that is about to be complete a few houses down. The boys loved watching the rolling tractor as it flattened the sod. Don't forget to scroll to the bottom to find out how you can still enter the giveaway and how to receive $150 in Parenting Bonus Package for Free! There has been such excitement in the launch of this new parenting book by: Dr. Scott Turansky and Joanne Miller, RS, BSN. 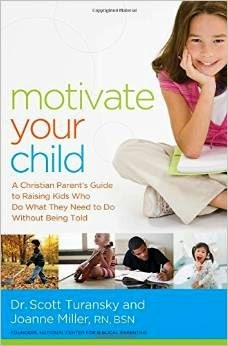 The full title of the book is "Motivate Your Child: A Christian Parent's Guide to Raising Kids Who Do What They Need to Do Without Being Told." The book comes with an Index and a Scripture Index in the back so that you can easily access information or refer back to what scripture was referenced. The book acts like a guide as it is described, but it is not one of those parenting books that tells you how to raise your child and makes you feel like a failure. Instead, the book emphasizes what the authors call heart parenting, where you reflect on what values are important to you in your family. It then grows from that and helps you focus on each of your children and how you can reach their hearts to motivate them, instead of using anger. The book uses many examples of different families, age groups and behaviors and how to lovingly correct them. I couldn't wait to get this book to read. I enjoyed that it is from a Christian parenting perspective, and how I was able to read along in my Bible with all of the wonderful scripture that is quoted in this book. The introduction and chapter one were slow to start but once I got to chapter two, I could not put the book down! It felt like the authors knew exactly what I was going through as a parent. 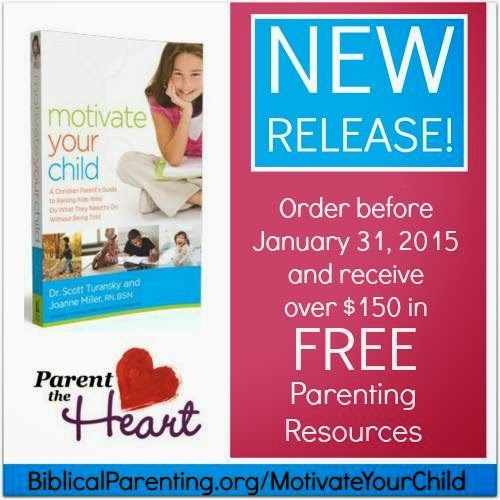 Motivate Your Child describes the many different ways parents can become stressed from generational yelling to all the newness of becoming a parent and not knowing exactly what to do. In turn, parents react to the stress in anger because the frustration becomes too much. I don't think any parent wants to yell at their child or act in anger to get their child to listen. This book is such a blessing because it takes away any kind of anger and has you commit to what the root of the problem is in your individual child, and how to internally motivate them. I would highly recommend this book to any parent or grandparent. It has taught me how to calmly reason with my children while maintaining a discernment for discipline. The lessons learned in this book are not a quick fix solution, but more of a putting the time in your child now so that they know how to distinguish right and wrong for the rest of their lives. Thank you for reading my review. Don't forget to check below for the amazing package you can get if you buy the book before January 31, 2015 and there is less than 48 hours until the giveaway is over! 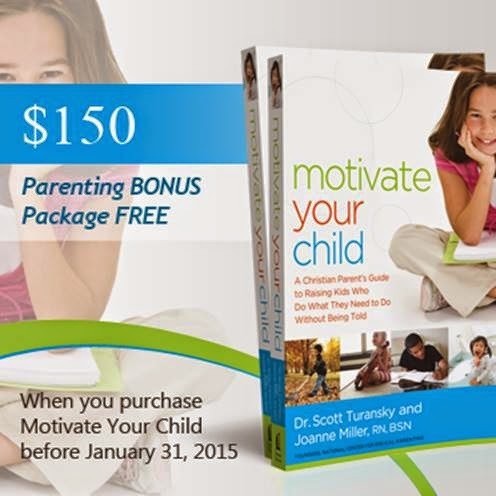 Sale has Expired: Pre-order or purchase a copy of Motivate Your Child from any retailer. Once you've made your purchase, follow the instructions below. INSTRUCTIONS: Once you purchase the book, send an email with MYC150 Promo in the subject line with a receipt of purchase to gift@biblicalparenting.org. Biblical Parenting will send you the link and a special code to access these downloadable video, audio and written products. Giveaway Expired: Enter the giveaway by clicking the picture below or this link. This post may contain affiliate links. To see more information on this, please see my full disclosure here. I was provided a complimentary copy of this book by Tyndale House Publishers for an honest review. Bible Favorites features 10 mini One Sentence Storybooks of the Bible such as Creation, David and Goliath, Noah and other inspiring stories. The 10 mini books come in a nice box to help keep the books together. 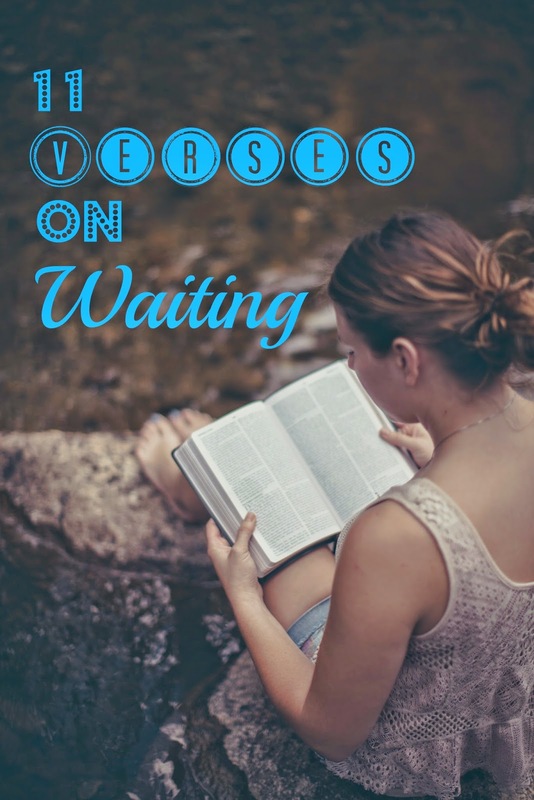 In each mini story, there is a Bible verse to learn, the message that is portrayed in that story, ideas for other things to look for in the book, and a prayer. Each book has beautiful illustrations and easy vocabulary that matches the picture, making it perfect for an early reader. The author, Nancy I. Sanders also wrote 25 Read and Write Mini-Books That Teach Word Families that we use in our homeschool learning! I was so excited to get a chance to review this because I knew how amazing it would be, and it didn't disappoint. Both of my sons (who are three and five years old) absolutely loved these mini books and it was nice that so many mini books are included, because they were able to share all of the books together. I would highly recommend this book for anyone teaching their children or students about Biblical learning and reading, or if you are just looking for fun reads with your child or grandchild! Thanks for reading my review. If you would like to find out more information about this book, the author or illustrator please click here. I was given a complimentary pack from Peekapak through Educents. I filled out a survey and provided some feedback on digital curriculum. I was not asked to give a review but I was provided with so much that I wanted to review this for Peekapak. There is prompting for knowledge of story content and reading comprehension in a fun way. It also is great for motor skills, dramatic play, problem solving, and having a child explore. 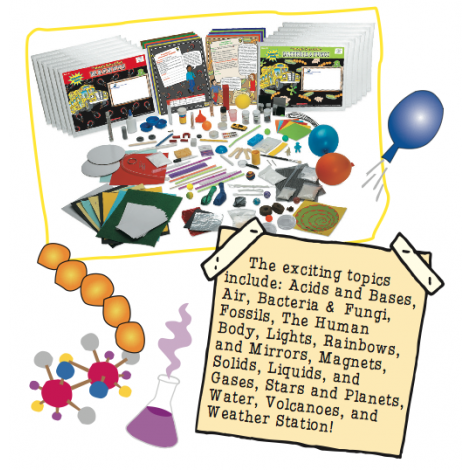 Everything is included, which is a time saver and easy for busy parents or teachers! There is no going to have to look for materials because it is all right there. You are left with total enjoyment as you watch your child or student's imagination come alive! My youngest, who is almost four loved the scissors included and called them "cow scissors" for the design on them! From start to finish, we worked on this for about 2 hours! My sons were having such a good time that they couldn't wait to see what we were going to do next! Here are the completed projects! I think Peekapak would make an awesome holiday or birthday gift for a child, or an amazing tool for students in the classroom. The child gets to look forward to something coming in the mail once a month, just for them! Thanks, Peekapak for giving us a chance to learn and play! To sign up for a subscription or to learn more about Peekapak, please click here. I was provided a complimentary copy of this book by the publisher through BookLook Bloggers for an honest review. 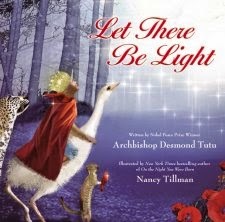 Let There Be Light is a children's board book describing the days of Creation. It has few words but the scripture and the illustrations will take your breath away for how beautiful they are. I believe that any person of any age would appreciate this book, and not just children. I read the book before I let my sons who are age 3 and 5, look at it. I felt like heavenly music should have been playing as I read the scripture and looked at all the amazing illustrations. The author describes the days of Creation in a way that shows how good God made everything and how much we are all loved. My sons thoroughly enjoyed this book, especially the pictures of the animals. I would definitely recommend this book to my friends and family, and anyone else who knows the majesty of the Lord. You may check out a description of the book, authors, and other reviews here. Monday - Daddy and the boys did their devotional in the morning and then B did Reading Lesson #63 out of "100 Easy Lessons." His new words were other, mother, love, card, they and her. Tuesday - The boys watched the Veggie Tales movie, "God Made You Special" and then tried to create words with the Leap Frog Interactive Talking Words Factory Flash Cards. Wednesday - Today was a Library Day and the librairan read "Corduroy," "Beady Bear," and "We're Going on a Bear Hunt." The boys got to watch a few episodes of "Paddington Bear" and and then came home and watched "The Pirates Who Don't Do Anything." Thursday - B did Lesson 53 in ABCmouse called "Reading the Alphabet with Words." We listened to the audio CD of "Ask Mr. Bear" and I read "Goldilocks and the 3 Bears" and "The Tortoise and the Hare" to them. Friday - We had a second day at the Library because they had a Paddington Bear party! We got there early so we were able to read "Once Upon a Potty," "The Teddy Bear's Picnic," and "The Five Chinese Brothers" to the boys before the party started. The librarian read some chapters in "A Bear Called Paddington" and watched a few episodes of "Paddington Bear." Tuesday - The boys played outside and practiced on the monkey bars as I held them and they used their upper body to move across the bards. Wednesday - The boys danced to "Teddy Bear, Teddy Bear" jump rope song and to "Sally the Swinging Snake." Thursday - B completed Lesson 54: "Art Now - Add Gray" in ABCmouse. Friday - The boys made a Paddington Bear at the library out od supplies provided: glue, tape, markers, toilet paper roll, and construction paper. Monday - B had to answer reading comprehension questions after his reading lesson, and both boys played games and puzzles on ABCmouse. Tuesday - G played with some floor puzzles today and they both worked on tangram puzzles. Wednesday - The boys had a Lego Build Day and B built a house for "Peter Pumpkin Eater's Wife." We also went out to dinner at Grandpa's new restaurant and B and Daddy worked on B's first Wordsearch puzzle on the kids menu. Thursday - The boys love the game Fizzy's Lunch Lab Fresh Pick, which is a free app. They have to listen to the directions and guide a boy on a bicycle to his friend and it uses directional and arrows to get him there. Friday - There was no school in our county today, so there were many friends for the boys to get to know at the library. It was awesome how the library and librarian put all the things together for the party! There was a bear with a suitcase, orange marmalade, and a note to take care of the bear just like in the book. Each child was given a name tag and had to guess how many teddy graham cookies were in a jar to win it. They were served orange marmalade snadwiches, milk, and teddy graham cookies and each child got to take home a Paddington Bear packet from Words for Life and a flag of England. This packet proved to be very useful because we had to go to the DMV afterward and get our driver's license updated with our new address! Monday - B wrote Y, y, B, and B for reading lesson. Friday - B had to fill in the blank in the Paddingotn Packet and use phonics to sound out what letter was missing, He also wrote dab, cat, bat, mat, fat, and run. Tuesday - The boys had fun playing with Melissa & Doug Pattern Blocks and Boards (tangram puzzles) and we had a shapes, color, and number review with how many of each shape was on the puzzle. Thursday - B did Lesson 55 "Math More 1-10 Practice" on ABCmouse and G played Fiizy's Lunch Lab Fresh Pick as I showed him how many of each item to get to the requested product amount. Friday - The boys learned where Peru is on the map where Paddington sailed from, all the way to England. They also learned some fun facts about Spectacled Bears. Yay! 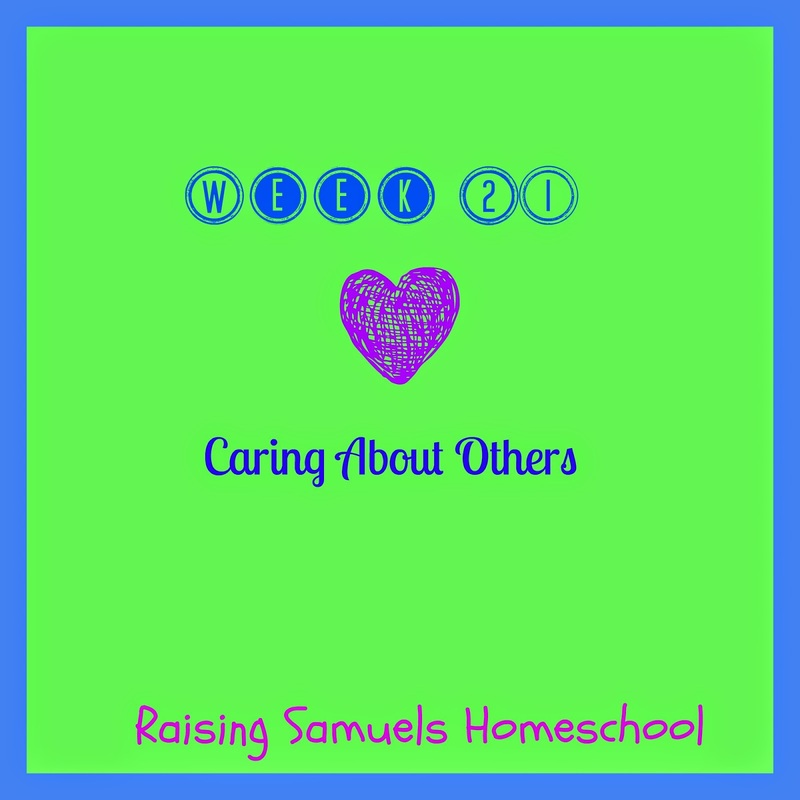 I am finally caught up on documenting our homeschool lessons! Hope you are enjoying this journey with us! Whew! These last two weeks have felt like a whirlwind but I am thankful and happy to say that we did move and close on our house! We have been busy setting up the house and still trying to make sure the boys get their homeschool work done. Last week, (January 5-9, 2015) we were only able to get in three days so that's what I am documenting for this post. Thanks for your patience as I try to catch myself up! Hope all of your holidays were wonderful and I am looking forward to many fun and exciting things to share with you all this year! 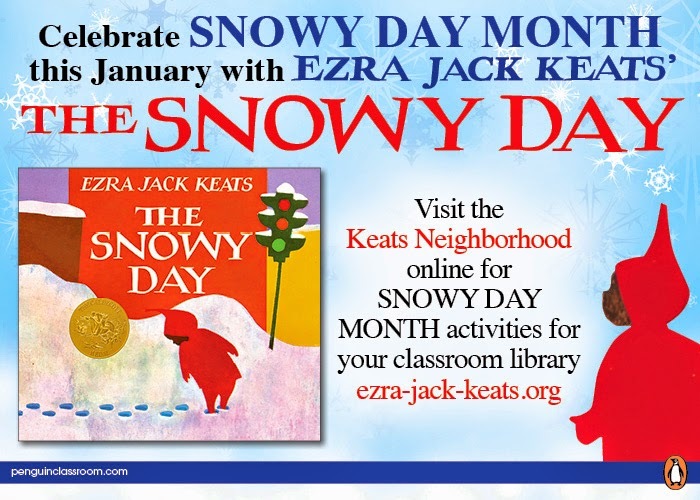 The Ezra Jack Keats Foundation - Fun ideas and activities to go along with some of his wonderful books! Monday - The boys did their devotional with Daddy from Sarah Young's "Jesus Calling: 365 Devotions for Kids." G did Lesson 46 "Reading A to Z at the Zoo, Part 1 and Lesson 47 Part II on ABCmouse and is 60% done his lesson plan for the year. B did Lesson 47 "The World Around Us - Alphabet Foods" and Lesson 49 "Reading the Alphabet with Words" on ABCmouse. Wednesday - We had a Library Day today and it was the return of Story Time! We have an awesome children's librarian who puts together such fun ideas, and the boys love it! We learned about Ezra Jack Keats and she read three of his books: "Whistle for Willie, Hi, Cat!, and Louie. The boys also got to watch a video of "The Snowy Day," also by: Ezra Jack Keats. The boys also had another devotional with Daddy. Friday - The boys got a new Veggie Tales video this week called "The League of Incredible Vegetables" so they watched that today while Mommy and Daddy did some more unpacking! Grandma and Grandpa bought the boys a Leap Pad 3 for Christmas and it's been awesome! There are downloadable gift cards you can buy and have your child pick the games they want. We downloaded one called Talking Words Factory. It has helped my oldest tremendously with his phonics and now he is writing without being asked! Monday - B did Lesson 48 "Black, Brown and White" on ABCmouse, and is 53% done his lesson path for the year. We took a walk outside and enjoyed the playground and cool weather. Wednesday - Our librarian taught the boys the jump rope song to "Teddy Bear, Teddy Bear" and they had fun pretending to jump rope and dance and follow along to all the instructions in the song. They also played and song along to "Sally the Swinging Snake." Friday - I've been trying to be good at exercising and eating right so the boys did some sit-ups with me today. Monday - The boys did some puzzles, games, and mazes on ABCmouse. Friday - Today, we found our Lego blocks so the boys had a fun day of building Lego creations and also playing with tangram puzzles. Monday - We wrote thank you notes today for all the Christmas presents the boys received. I had B write Thank You and sign his name. It's important they know to appreciate everything that is given to them. He also wrote the word sun today. Friday - B wrote cat, sun, mad, hat, run, and bat all from memory from watching his Leap Frog video! Technology is amazing! Monday - B finished Lesson 50 "More Counting 1-10" on ABCmouse and is now 56% done his lesson path. 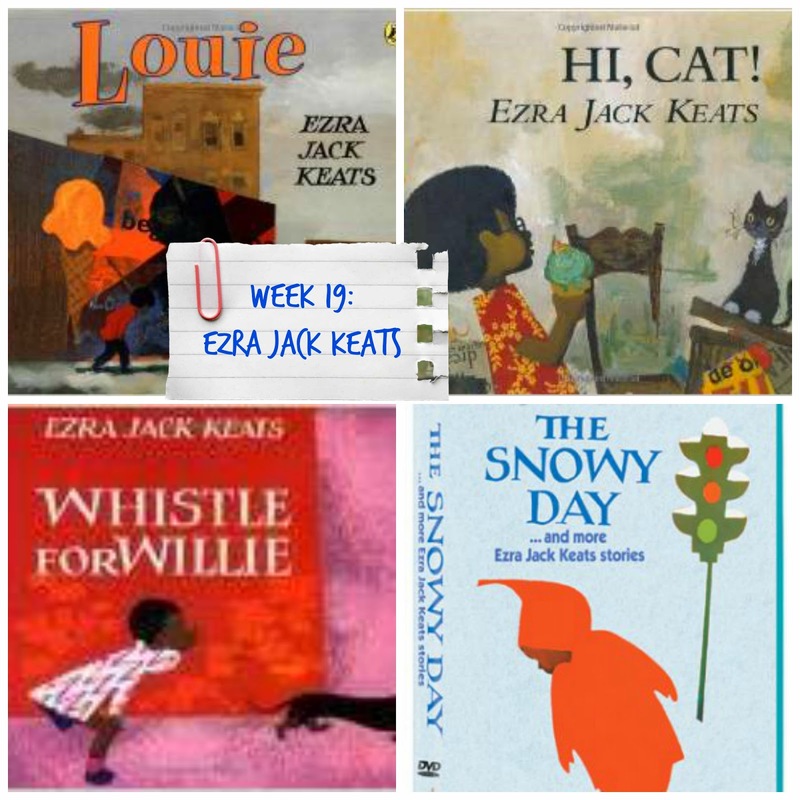 Wednesday - We learned about how Ezra Jack Keats was a pioneer of his time by being the first to show ethnicity in children's books. He grew up in a crowded city and saw people of all different backgrounds and he thought it only fair to have all children shown in children's books. That is our week from January 5-9. I will try to have last week's lessons posted soon! How is your new year going? I would love to hear from you! 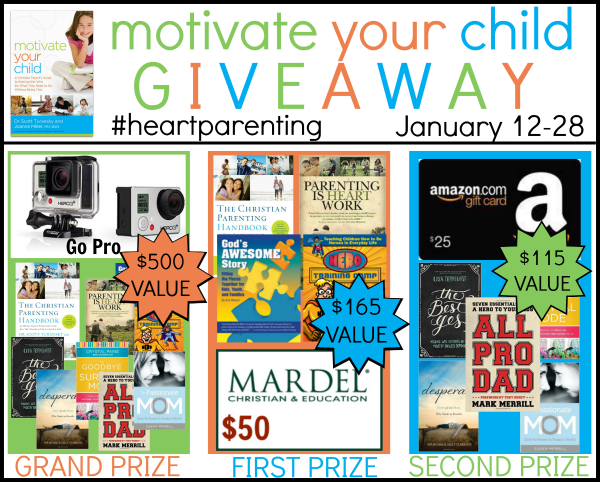 To celebrate the release of Motivate Your Child: A Christian Parent's Guide to Raising Kids Who Do What They Need to Do Without Being Told, members of the Launch Team are sharing a wonderful giveaway filled with a Go Pro Camera, $50 Mardel Gift Card, $25 Amazon Gift Card, and book bundles from both the National Center for Biblical Parenting and Thomas Nelson Publishing! Three winners will win prizes with a total value of nearly $800!